John Wesley in his Notes on the Bible wrote the following about those very verses above. Verse 21 […] True worship shall be no longer confined to any one place or nation. Verse 23 The true worshippers shall worship the Father – Not here or there only, but at all times and in all places. Verse 24 God is a Spirit – Not only remote from the body, and all the properties of it, but likewise full of all spiritual perfections, power, wisdom, love, holiness. And our worship should be suitable to his nature. We should worship him with the truly spiritual worship of faith, love, and holiness, animating all our tempers, thoughts, words, and actions. Verse 27 His disciples marvelled that he talked with a woman – Which the Jewish rabbis reckoned scandalous for a man of distinction to do. They marvelled likewise at his talking with a woman of that nation, which was so peculiarly hateful to the Jews. Yet none said – To the woman, What seekest thou? 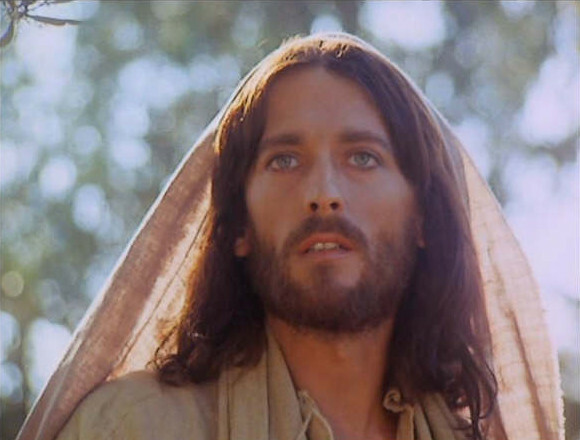 – Or to Christ, Why talkest thou with her? Verse 28 The woman left her water pot – Forgetting smaller things. So, what could be the “smaller things” in our lives that make it – in the first instance – impossible for us to recognize the Savior and Messiah when He suddenly stands right in front of us? Speaking spiritually, what are the first things we cling to in order to approach a God whom we do not yet know? The baby is first sensual. Likewise, the natural man and woman wants to see, feel, even smell or taste God and therefore our first experiences are made in the visible realm. Usually we first learn about God in our families or in churches. Depending on whether our experiences with family members (esp. parents) and churches were good or bad, we cannot help but project our experiences onto our own inner image of God. There is nothing wrong about that as we can see in Jesus’ way of addressing the woman at the well. He saw her deepest needs. That Samaritan woman had been desperately looking for love. Obviously, her quest of true love had failed as Jesus prophesied, seeing her lonesome and longing heart wide open before His inner eyes. Actually, there had been some “hes” in her life before HE revealed Himself to her. Also, regarding her question about true worship, we might as well assume that she, having hopelessly hunted for a husband, had been trying to fill the empty space in her heart with religious activities instead. Without exploring the subject of true worship deeper than I already did, I only want to give you a few quotes to think about and to hopefully raise some thoughts to “dig deeper” regarding worship in spirit and truth beyond any principles and rules that originally were/are our pillars to approach the realm of the unknown God. Susanne, thank you for this post. Lord, lead us to worship You continually. Indeed, you were my first commenter today and that encourages me because I always feel a bit uneasy until I can see visible reactions to a blog post here or to a poem on my poetry blog. Susanne, I know what you mean about feeling uneasy when we post a blog article or poem. We write them prayerfully, but still are not sure if we might have missed the Lord and heard Him correctly. 1) to kiss the hand to (towards) one, in token of reverence. Literally it is to blow kisses to the one you love. This is worship in spirit and in truth! Worship is an act of love with your whole spirit, heart and being. Anything less God can see through. Words can be empty unless the heart is in them. Yup, that about says it. Bless you dear sister! May your heart be filled with worship for Him. Glad you liked that quote, Michael. Indeed, there is a kind of worship that needs no words. It happens when we enjoy being embraced by God in His great love. Wow, Susanne! Your reply brings up some things that are so similar in our experiences. When I write a blog article, like you, I hit “post” and it is gone from my mind. So when people write and respond I, like you, have to read it again to figure out what they are talking about. It is almost like we are scribes or court recorders, writing down what we hear and then we go home. But also, we find that when we get “home” we have been dealing with or soon will be dealing with what we just wrote. How much of what we write if first and foremost for US to apply?! When I write it is not quite as it is with you. God usually has been giving me lots of dismembered thoughts and images, but the problem is I don’t know how they all fit together. In my latest article about how the Bride makes herself ready, the keystone that the other pieces finally took shape from came from something that Becky Johnson wrote in her book, “A Grit and Grace Collection.” You yourself have often been the catalyst He has used to focus me in on what He is saying to me. God means none of us to be an island. We need one another for His wisdom is a collage with each of us receiving a part that the others need. Or as Paul put it, “For as in one body we have many members, and all the members do not have the same function, so we, though many, are one body in Christ, and individually members one of another. Having gifts that differ according to the grace given to us, let us use them… in proportion to our faith” (Romans 12:4-6 RSVA). “Yet how surprised I was when the Holy Spirit suddenly began to fill my heart and mouth with new songs in other languages which I had never heard before. THAT was really amazing… there is a kind of worship that needs no words. It happens when we enjoy being embraced by God in His great love.” Yes, Father, make us true worshipers as we feel your loving embrace and blow you our kisses. Amen. Yes indeed, we all need one another to build up the Body of Christ of which we are joined but different and individual members. Only by working TOGETHER the big picture of the divine jigsaw puzzle can be recognized. What could a lonely puzzle piece do on its own? Not more than a branch that does not abide in the true vine and in His great love for all members of His Body (Jn 15:5). Love reading your blogs Susanne I always find an element of spiritual surprise which I really like. I love something to savour and go away and consider and this blog has done it again. I like it you ask questions for your readers to go away and ask to themselves and God. 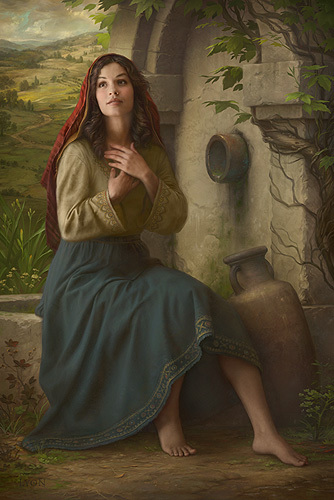 I just love the story of the Woman at the well there is so much spiritual food here just like the depths of the well of living waters this story always refreshes me every time. I wonder if Jesus knew this would happen. He revealed so much about Himself didn’t he? It truly is inspiring. Thank you dear Susanne…. I too get very nervous of what I post. I have to learn to post just what the LORD wants me to share with others and to keep back those devotions between God and me. It’s a hard balance sometimes. Indeed, I am always spiritually surprised, too, even while writing my stuff as I already explained in my reply to Michael above. Yes, I think asking questions might run deeper than always handing a topic that has been fully explored (if such a thing were possible) on a plate, since I do not want my readers to fall asleep while reading (but afterwards it is okay 😉 ). I know that the gravatar you had before showed a pic about the scene between Jesus and the woman at the well. Therefore you may know that I also thought of you while writing. But I really like the two white swans in your newer gravatar. Sooo sweet!! yes like Mike I like that quote too and I love that picture of the Samaritan female–she is beautiful! and so are you! Thanks so much, Kenneth! May I tell you that a part of your comment was a message from God for me? Indeed, your words made me weep with gratefulness, toward God and toward you who was obedient to write it down! Thanks a bunch for your great comment, Wayne. 🙂 BTW, I hope to hear that long story about you stepping down from worship sometime or other. I really enjoyed reading your testimony here. Oh, I know how difficult, or rather impossible, it is to describe what we, truly, experience with God for which NO words in our human languages exist because it is exclusively spiritual! But Scripture, at least, gives us a hint to the deeper meaning of it all. Thanks again for sharing your story on here, my brother. I tell them that you cannot GO TO church but you can meet WITH the church. When I mention that true worship is spiritual in nature and not confined to a building or service I get looked at like I’m an alien. Worship to me is to give to God what he is due. It is those moments when in the garden admiring His creation and muttering, “God you are so good”. That to me is true worship. Paying homage to the One who deserves it all. Yes, you’re not the only “alien” on earth who believes that going to church, in the first instance, has nothing to do with worshiping God who is Spirit and thus invisible to the natural eye. As I see it today, the visible church can serve as a “guide marker” into the right direction, however, the church may never take the place of God in the heart of the believer which only belongs to Him. I loved your description of what true worship means for you. Indeed, it’s all about our heart that admires God for what He truly is.